Charlotte - new single ‘Nervous’ taken from the ‘Nowhere To Hide’ EP out on 3rd May. 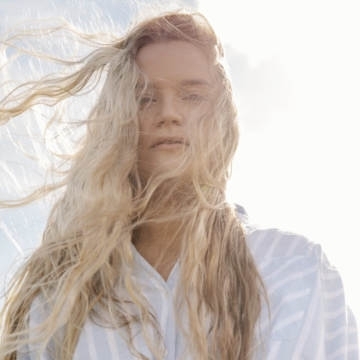 Hailing from Hull, Charlotte finally got her break last year, when she was discovered by Grammy-nominated global hit maker Toby Gad - writer of ‘All of Me’ (John Legend), ‘If I Were A Boy’ (Beyonce), ‘Big Girls Don’t Cry’ (Fergie) and more. Charlotte became the first artist and songwriter Toby Gad signed to his publishing company. After one writing session in LA he offered to sign her immediately. Charlotte spent her early teens performing in pubs until her family moved to Singapore when she was 14 years old – isolated from her friends and the life she knew, she started to write and sing every day, finding therapy in her music to cope with these inner struggles as a teenager. The soulful, beautiful and melancholic ‘Nowhere To Hide’ EP reveals Charlotte's unique voice and timeless sound rooted in great soul and pop music of past and present.